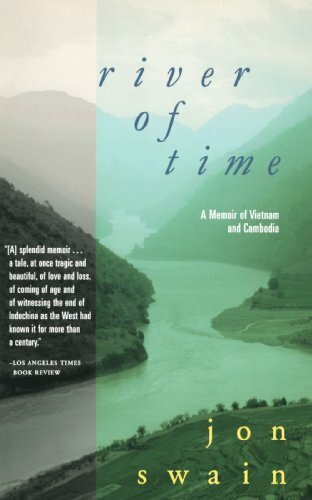 River of Time is a beautifully written memoir by an English journalist living in the lands of the Mekong during the wars in Indo-China in 1970-1975. An outstanding and moving account of personal experiences during one of the most tumultuous periods of recent history, River of Time is essential reading for anyone interested in the haunting history of this region. Swain arrives in Indo-China in his early 20's, at an age not much older than the average American soldier after being posted to Vietnam to cover the war as an Agence France-Presse (AFP) correspondent for a 3 month assignment. Addicted to the countries on whom he is reporting and the adrenaline rush of war, Swain falls in love with a beautiful French-Vietnamese woman, Jacqueline, and ends up staying longer than five years in this amazing part of the world. Written as if in a beautiful haze some 20 years after the events that took place, River of Time is now seems shrouded and enveloped by the mists of time. Beginning from when Swain first arrives in Vietnam and including a brief period in Cambodia before authorities revoke his Visa, we are swept along with Swain's story of his love-infused moments with Jacqueline snatched amongst the ever present dangers of his reporting. Describing Jacqueline as the person whom he loved the most in the world, they manage to escape from the war by visiting such idyllic and beautiful places as spiritual Hue and Dalat within the Vietnamese Central Highlands. River of Time perfectly captures the exoticness and enticing danger of the times. Whether watching entrancing woman dressed in áo dài riding cyclos, sampans drifting down the Mekong or describing the fumeries and opium dens of which he frequents, Swain's portayal of Indo-China is beguiling. Accompanied by amazing stories of the colons resident in both countries, River of Time is a genuinely spell-binding read. All the beauty he depicts, however, is juxtaposed against the horrific scenes that also accompanies both the ongoing Vietnam War (American War as called by the Vietnamese) and the Cambodian Civil Wars. Be warned, Swain describes scenes that are heart wrenching and extremely moving and whilst not graphically described, the horror is in no way diminished. Anyone who has seen the Roland Joffe directed movie, The Killing Fields, will recognise Swain as one of the central characters. 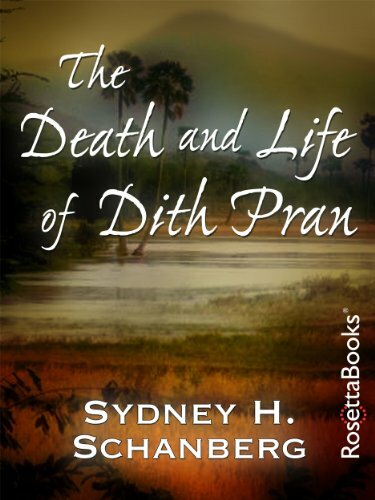 Leaving Vietnam on the last flight into Phnom Penh before its impending fall to the Khmer Rouge, he meets up with Dith Pran and Sydney Schanberg, the New York Time correspondent who wrote the book The Death and Life of Dith Pran on which the movie is based. Describing both the events that occurred up to and the aftermath of the Khmer Rouge's conquest, there will be very few people who aren't moved to tears of both frustration and sadness. Swain's human witness to the death of friends, colleagues, soldiers, civilians and even a piece of himself and ability to convey this to the reader is what makes this books so amazingly good. 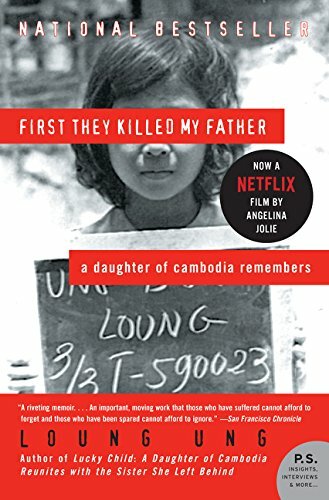 Alongside First They Killed My Father by Loung Ung, River of Time is a must read before viewing the marvels of Angkor Wat and more especially before visiting the killing fields of Choeung Ek or the genocide museum of Tuol Sleng. By gaining an understanding that violence is as much a part of the Cambodian character as that of the smiling peasantry portrayed in tourist posters, it provides a deeper context and understanding of the events that have taken place and shaped the countries and people of both Cambodia and Vietnam.